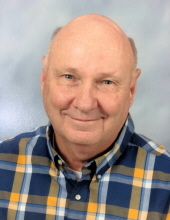 William David Cochran, Jr. age 67, of Buena Vista, died on Monday, January 28, 2019 at Midtown Medical Center in Columbus. A native of Sumter County, he was born March 9, 1951 to Mary Evelyn Cochran and the late William David Cochran, Sr. He was a teacher and football coach for over forty-three years and was a member of the Kappa Sigma fraternity. He enjoyed his time as a DJ for WISK in Americus and also tending to his saltwater aquarium. Most importantly, he was a proud papa of two grandchildren. Funeral services will be held at 2:00 p.m., Friday, February 1, 2019 at the Chattahoochee County Middle School Gymnasium in Cusseta with Rev. Joy Wilson and Rev Bill Harris officiating. Burial will follow in Oak Grove Cemetery. The family will receive friends from 6:00 p.m. to 8:00 p.m., Thursday, January 31, 2019 at Greg Hancock Funeral Chapel in Americus. Survivors include his wife, Gina Cochran of Buena Vista; mother, Mary Evelyn Cochran of Buena Vista; two daughters and a son-in-law: Carly Cochran of Carrollton and Ashley Cochran Thayer and her husband Jason of Suwannee; and a son and daughter-in-law, William David Cochran III and his wife Taylor of Prattville, AL. Also surviving are two grandchildren: Aubrey Thayer and Andrew Thayer; and a sister and brother-in-law, Vicki and Jim Moyd of Newnan. The family suggests memorial contributions be made to Union United Methodist Church, In care of Jean Powell, 952 Harts Mill Rd, Buena Vista, GA 31803. To send flowers or a remembrance gift to the family of William David Cochran, Jr, please visit our Tribute Store. "Email Address" would like to share the life celebration of William David Cochran, Jr. Click on the "link" to go to share a favorite memory or leave a condolence message for the family.